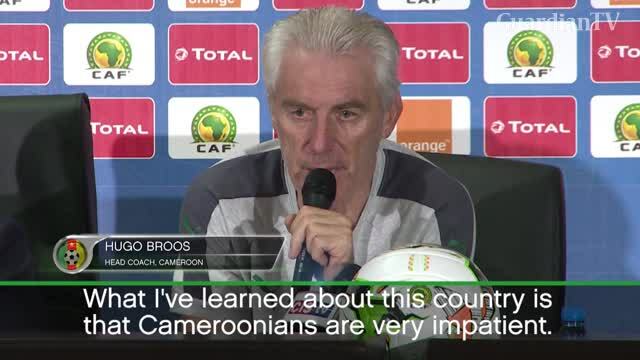 Cameroon head coach Hugo Broos has slammed the national team's fans for being 'impatient' and overly criticial ahead of their Africa Cup of Nations final against Egypt. Cameroon head coach Hugo Broos has slammed the national team's fans for being 'impatient' and overly critical ahead of their Africa Cup of Nations final against Egypt. Now, the man is vindicated…He should just resign an take up a better job elsewhere.